Making a Difference one Child one Family at a Time! The mission of the Center is to provide support to families in preventing and dealing with child abuse in West Tennessee and to help both parents and children meet the practical needs of preserving and improving the quality of family life. Headlines in the newspapers, television, and internet contain stories of children whose lives are forever changed due to the abuse they have endured. All of us in one way or another are affected by these stories. Every day the doors are open at the Carl Perkins Center for the Prevention of Child Abuse to welcome them in and start them on their journey of healing to a happy and healthy life. In the state of Tennessee, there were over 38,000 cases of child abuse last year! It’s a horror that no child should ever have to face – but unfortunately it happens – in every walk of life. For those children and families who have been affected, The Carl Perkins Center is there to help. Children receiving services and counseling from the Center get the opportunity to hand-pick a teddy bear that will become their Beary Best Friend throughout their journey. 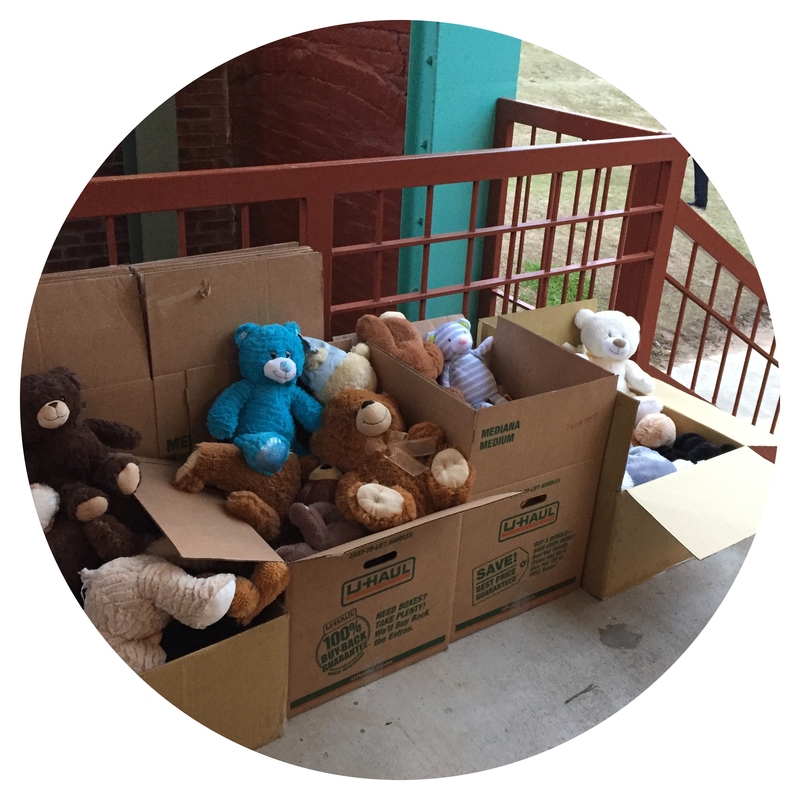 We’d like to make sure that supply of teddy bears is never-ending so no child is without. And you can help!! Simply bring a new teddy bear of any size with you on race day. Our volunteers will gather them and line the start of the race with the bears. Our goal is to fill the hill of the start line! Help us reach our goal and let the children know that someone cares by providing a Beary Best Friend. We can continue to improve their quality of life and give them hope for a brighter future. When did the Center begin serving West Tennessee? At the 1979 National Convention, the Exchange Club adopted child abuse prevention as its primary focus of service. Representatives from the Jackson Exchange Club were present at the convention and immediately began working on establishing a child abuse prevention center upon their return to Jackson. Around the same time, legendary Rock-a-Billy artist, Carl Perkins, was spurned to action by the media coverage of a local young boy who had died as the result of child abuse. Through a grant from the National Exchange Club Foundation and the fundraising efforts of club members and Carl, the Center was founded in October 1981. Since that time, the Center has continued to grow and expand its program and services into many other West Tennessee counties and has served thousands of children and their families. Services are available to anyone in West Tennessee at no charge. You may contact the Center anytime by calling our 24-hour toll free hotline at 1-800-273-4744. The Center is a 501C(3) organization. To learn more about the Carl Perkins Center for the Prevention of Child Abuse please visit their website at www.carlperkinscenter.org. The Exchange Club-Carl Perkins Center is a United Way Agency.